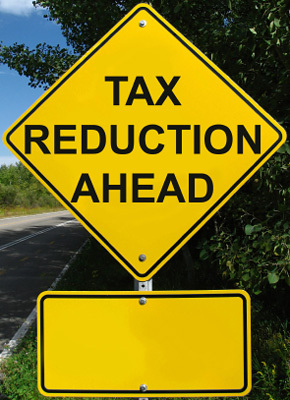 Tax deductions for home business can save you $1000's of dollars. Starting a home business will result in tremendous legal tax savings because it allows you to convert previously non-deductible expenses, to legal business tax writeoffs. I retired here on the beautiful Florida Gulf Beaches because the weather is nice, the scenery is beautiful, and my days can be spent reading and napping on sugary white sand beaches. I'm able to do this because of starting a home business with SiteBuiltIt! that gives me a profit from both online products and advertising. What I didn't realize, until I heard a presentation by the guy who is my tax professional and read Home Business Tax Savings by Dr. Ron Mueller, that I had been overpaying my taxes by $1000's of dollars, each year. 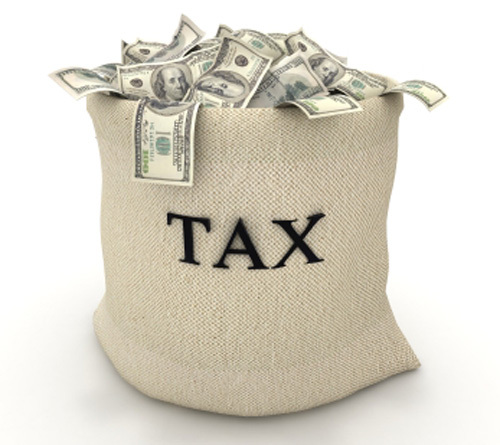 Because of legitimate home business tax deductions, I save an EXTRA $5000 per year. My money...that stays with me...not goes into the hand of some politician to give a bailout to a guy on Wall Street. Ask yourself the same question I did..."What could you do with an EXTRA $3000 - $5000 of your own money???" 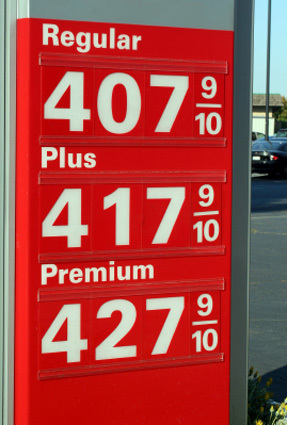 It wasn't long ago that we saw signs like this in the gas stations near us...and it will not be long until we see them again. Oil company executives made record bonuses, while the rest of us got squeezed at the pump. In order to pay for increases in gas, utilities, groceries, and insurance many hard-working people took on a second job. They quickly found out, though, that earning extra income meant paying even more taxes. The money they earned didn't get to stay in their household, it went to Congress who gave it guys making several $1,000,000 dollars a year...or to corrupt governments that hate us. Is it any wonder that frugal-minded people who do their best to live simply and do the right thing, get frustrated and discouraged? Now, hundreds of people each day are starting a home business. They sell items at swap meets each weekend, they do housecleaning, lawn maintenance, handyman services, sell products door-to-door, and venture into online businesses that they run from their laptop. However, the majority of them miss the incredible tax deductions for home business because they either aren't aware or do not think they qualify because they are a one-person operation. Home business tax deductions can be taken by all individuals who are working with the intent to make a profit, and spend 4-6 minutes each day documenting their expenses and activities. These are all legal tax savings...all legitimate tax writeoffs. What could you do with an EXTRA $400 - $500 dollars per month in your household? Come to think about it, nobody ever told us about the General Services Administration (GSA) giving government employees bonuses (for what???) with our taxpayer money...until it all blew up. Does it make sense to start a home business, work each day to make it profitable, keep more of your own money, and NOT overpay your taxes? The #1 factor involved with anyone being able to start maximizing their dollars, keeping more of their own money and start the process of creating wealth is in...business ownership. The simple reason for this is: One...because you can make your own business as profitable as you want, it all depends on your work ethic. And Two...because of the tax laws favoring business owners. You probably didn't know it, but there are TWO sets of tax laws here in the United States......one for employees and W2 wage earners (nurses, teachers, secretaries, sales people -- just about everyone who has a job like you) ..... and one for business owners. Employees (like YOU) work themselves into exhaustion and pay taxes...THEN whatever is left over (not much) they spend on themselves. Homebased business owners, however, buy what they want...and pay taxes on whatever money happens to be left over. Homebased business owners structure their spending by doing and buying what they want...and making sure a MAJOR amount of what they do, and what they purchase is a TAX-DEDUCTIBLE expense. They are then obligated to only pay taxes on whatever is left over after all of their legal business expenses have been accounted for...and deducted. I run a travel site. Do you think there are some of those expenses involved in reviewing different cities, beaches, restaurants, bars, and motels? If you like to travel, could you see yourself starting a home business to provide quality information about different locations to people on the Internet? How come more people do not take tax deductions for a home business? The reasons people give for NOT looking into keeping more of their own money by starting their own homebased business range from a complete lack of awareness...to plain laziness. * "I know this has to be illegal." These tax deductions are only for corporate people or doctors. * "This is unethical." I run a house-cleaning business out of my home and only make an extra $8,000 a year. These tax deductions are for more important people who make a lot more profit. * "My tax guy never told me anything about these tax deductions for a home business...and he knows everything about taxes." * "I have an Internet home business, so it is not like a 'real business'." * "I've worked 10 months trying to sell vitamins and supplements, spent money on supplies and advertising, talk to 10-12 people each day about my product, handout my business card to everyone...but have only made 4 sales. I don't really have a legitimate business." * "Spending 4-6 minutes each day keeping records is way too much trouble just to save a few $1000 bucks." It is all NONSENSE. Sadly, these people will continue to overpay their taxes by $3000 - $6000 each year...and will, for the rest of their lives. What could you do with an EXTRA $30,000 - $60,000 during just the next 10 years? 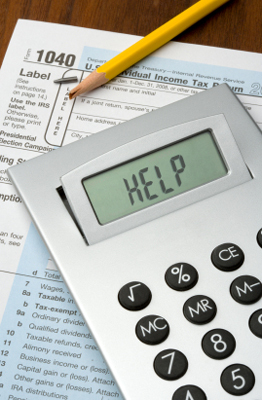 Do tax deductions for a home business make a little bit of sense? United States Naval Academy graduate, Dr. Ron Mueller, can help you keep this money in your own household, not in the hands of some faceless politician who will spend it on "diplomatic information gathering" trips...with their family...to Paris, London, or Jamaica. You need to understand, these are NOT “tax dodges,” or “secret loopholes” or “tax avoidance schemes.” These are United States laws that were created by The United States Congress, to help everyday people who want to have their own business and are intent on making it successful and profitable. These legal tax deductions for home business are definitely NOT for people who are looking to run a scam. These home business tax deductions are only for those individuals seeking to run a legitimate homebased business with the intent to make money. If you have the mistaken idea that you can set up some phony business to try to scam the Federal government, you need to leave. Jerks, sleazeballs, and idiots hurt all of us. (1) You must run your business like a business, with the intent of making a profit. You must work at your home business at least 45 minutes per day. (2)You must adhere to the simple, but rigid 5 criteria for documenting all expenses that will become deductions to save you money. (3) You must be willing to spend 4-6 minutes each day documenting those expenses in a legitimate tax diary...not some spiral binder from the drugstore. If you are lazy, unethical, or just plain sleazy...you deserve to wind up in a Federal criminal court. Do us all a favor and click over to a scam site. Maybe the best way to learn more about the tax deductions for home business strategies employed by aware homebased business owners is to get it directly from one of the most prominent experts on the subject in this decade...investigative journalist, Naval Academy graduate, and Vietnam combat veteran, Dr. Ron Mueller. He is articulate, easy-going, and intelligent...but puts confusing concepts into language guys like me can understand. Ron has written an Internet best-selling book that can be immediately downloaded on your computer in eBook form. He's done the hard work already by putting all the information in an easy-to-read guide. 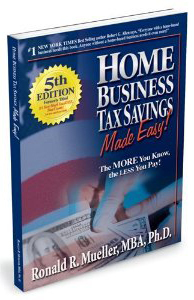 Home Business Tax Savings is a step-by-step guide that explains, in everyday terms, what tax breaks are available to small home business owners, how to qualify for them, and how to spend only a few minutes a day keeping the necessary documentation. For every major deduction Ron describes in his eBook, you will find in bold letters the exact Congressional Law, Article in the United States Tax Code, or U.S. Tax Court Ruling that specifically authorizes it. When you take your documentation to your tax professional, he/she will have the specific citations, from books in their own office, to validate the tax deductions that you are entitled to as a homebased business owner. The cross-reference will show you they are 100% legal. Only you can decide if this fits for you. Spending $30 on a eBook takes some thought. You have to ask yourself if it contains enough beneficial information about tax deductions for a home business that it will return at least that same amount to you if you decide to work from your home.